Registration will start from November 30, 2018. 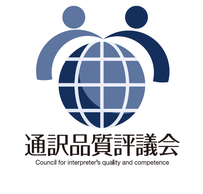 Memberships support CLI to fulfill its commitment to linking the world for the advancement of community interpreting. Join CLI and be directly involved in shaping the important issues to keeping community interpreting vibrant and strong.An annual membership fee of $50 CDN means that Critical Link International can continue to be an active and vital part of community interpreting, globally. through Paypal services using a credit card or PayPal. You will create a user profile and have special access to members only services such as auto renewal of your individual memberships, receive renewal reminders and pay memberships annually.